Laser hair removal (LHR) is one of the most commonly performed non-invasive aesthetic procedures in the U.S., and almost everywhere, it is regulated the same. Most states view LHR as a medical procedure that requires proper training and physician supervision. In a few states—including Georgia, Texas and Massachusetts—non-physicians may perform LHR without physician supervision, provided it is within their scope of practice and they meet certain requirements. In Georgia, for example, a non-physician can apply for and obtain a Cosmetic Laser Practitioner’s license, provided they complete certain courses—and pay a $200 fee, of course. This relates only to laser hair removal—other uses of lasers in aesthetics are considered to be medical in nature and therefore are regulated by the state medical board and require physician supervision. In the years since the board declared that it did not consider laser hair removal to be medical, the state has attempted to close this loophole, but its efforts have as yet been unsuccessful. On January 18, 2019, a new bill that would create a LHR licensure procedure was filed in New York. This would create a situation similar to Texas’ LHR law, which allows licensed individuals to operate largely independently, though they are required to submit to periodic oversight by a physician. However, it remains to be seen if it will be passed into law. Stay tuned to AmSpa for more details as this story develops. And if you’d like to learn about the laser laws in your state, join AmSpa or consult an experienced health care attorney. We’ve discussed the issues and legalities with prescribing drugs for uses other than what the FDA originally approved them for here. Known as “off-label use” the practice is often routine and generally acceptable as the FDA does not control the practice of medicine. Most of the current discussion looks at off-label use from the perspective of licensed physicians. 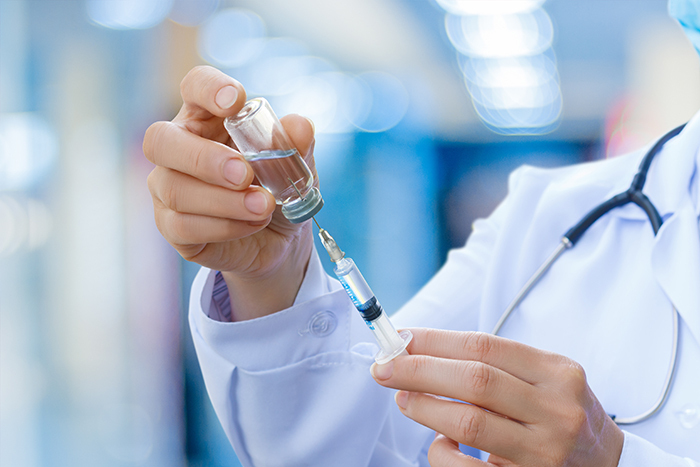 Generally, physicians are permitted to prescribe drugs for off-label purposes without restriction as part of their license to practice medicine. However, this isn’t necessarily the case for mid-level prescribers such as physician assistants (PA) and nurse practitioners (NP). Below we’ll discuss some of the common limitations and concerns mid-levels face in prescribing off-label. One of the least common types of off-label restrictions are placed on particular drugs or for particular purposes. A few states have adopted specific prohibitions against off-label uses for certain classes of drug or for treatment of specific conditions. These tend to be passed in relation to controversial topics or as a result of a publicized scandal. As an example, Mississippi prohibits all off-label uses for drugs prescribed for the sole treatment of weight loss. And in North Carolina prescribers working through telemedicine are prohibited from prescribing medications for the purpose of inducing an abortion and this extends to any drug with a known off-label use as well. Far more common are discretionary restrictions that a supervising physician may place on a mid-level practitioner. In most states, PAs and NPs derive their prescriptive authority from a collaborating or supervising physician. This is normally embodied in a mutually written agreement between the physician and mid-level, sometimes requiring board approval. These are known by various terms such as “practice guidelines” or “supervision agreements”. These agreements typically outline the procedures and scope of practices that the mid-level is able to perform. Where these agreements define the scope of the mid-levels prescription authority it will include the types or classes of drugs prescribe and the situations and conditions when they can prescribe them. So the ability of PAs and NPs to prescribe off-label in these states is largely dependent on if they are authorized by their physician. This is the case in North Carolina where a PA’s prescriptive authority is governed by their written supervisory agreement with a physician. They have no blanket restrictions on off-label uses but a supervising physician could restrict their PA to only prescribing for on-label uses in the practice agreement. Most states do not have explicit prohibitions on off-label prescribing by mid-level licensees. Instead, they may have more general rules on mid-level prescribing that may indirectly impact their ability to prescribe off-label. These more general rules usually take the form of a Formulary or a restriction as to the standard of care. A formulary is a list of included or excluded drugs that are within the mid-levels prescriptive authority. They are usually collectively developed and maintained by the medical, nursing or pharmacy boards. Unless each board maintains their own. For instance, Oklahoma maintains separate formularies for both PAs and NPs. 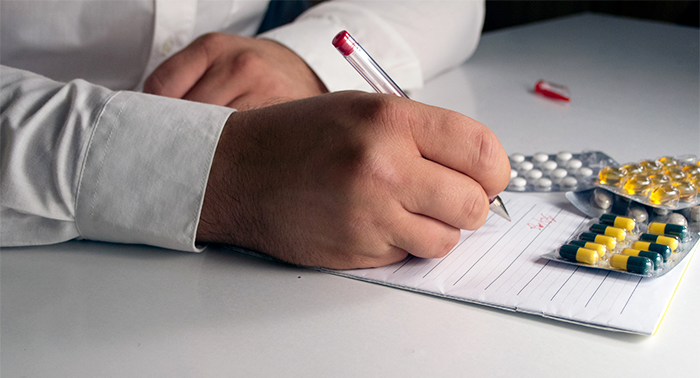 Each formulary includes a list of drugs the licensees are prohibited from prescribing on their own and the PA also lists classes of drugs that are permitted. It is in these formularies where some off-label uses for certain drugs may be prohibited directly or indirectly by excluding entirely a class of drugs and not accounting for alternative uses. Restrictions on prescribing under “standards of care” are typically found in the statute that grants the prescribing rights to the PA or NP. The prescription is usually worded to allow prescribing for approved uses unless certain requirements can be met. Usually, the requirements are that the off-label use is supported by studies or peer-reviewed and is included in the current standard of care for that ailment. For instance in Pennsylvania the formulary for PAs allows them to prescribe for a purpose other than what the FDA has listed as indications only if two requirements are met: 1)the supervising physician must authorize the particular off-label use and 2) the use must be supported by peer-reviewed literature from a “recognized body of knowledge”. So PAs in Pennsylvania would be able to prescribe off-label generally if their supervising physician approves it and if the use is already tested and supported by research. A similar “standard of practice” prescribing restriction can be found in for NPs in Texas. The Texas Board of Nursing’s administrative code limits NPs to ordering and prescribing medication only for FDA approved uses unless the use is part of an official trial or review board or if the use is both supported by evidence-based research and within the current standard of care for treatment of that particular condition. While those carve-outs will allow Texas APRNs to prescribe medications for many off-label situations it limits them to only those mainstream off-label uses. NPs in Alabama have similar requirements to only prescribe off-label if it is part of the current standard of care, supported by evidence-based research, and approved by the collaborating physician. Oregon has a more lax form of this “standard of care” restriction. NPs in Oregon have fully independent prescriptive practice; they don’t have to collaborate separately with a physician. Oregon NPs are specifically permitted to prescribe for off-label uses but only so long as there are appropriate indications and documentation for those uses. Restrictions like these can have substantial restrictions on PAs and NPs practicing in medical spas and other similar settings. Many of the more innovative procedures offered in medical spas do not necessarily have an FDA approved indication and may be too new or too niche to be backed up by the required peer-reviewed studies or research. Mid-level practitioners who practice in medical spas need to be sure that their state doesn’t have any explicit restrictions on the drugs or the uses that they plan to practice within the medical spa. But in addition to that, they will want to ensure that they have sufficient documentation and research on file to support these off-label uses as being part of the “standard of care”. If you are a physician assistant or nurse practitioner in the aesthetic medical field and are interested in learning about new procedures and legal issues surrounding medical spas you should consider attending the Medical Spa Show taking place in Las Vegas, NV, February, 8-10, 2019. Generally, California prohibits the enforcement of most employee non-compete clauses with few exceptions. An appeals court decision this past November saw a commonly used and previously accepted non-solicitation restriction caste into doubt in California. The case known as AMN Healthcare, Inc. v. Aya Healthcare Services, Inc. involves former travel nurse recruiters for AMN, a travel nursing placement agency who went to work for Aya a competing travel nursing agency. Travel nursing agencies seek to recruit and place nurses on temporary work assignments throughout the country. The defendant nurse recruiters had signed a confidentiality and nondisclosure agreement as a condition of employment with AMN. The AMN confidentiality and nondisclosure agreement contained fairly typical restrictions whereby the employee promised to keep company trade secrets secure and confidential. However, it also included what is commonly known as an “anti-solicitation” clause which prohibited former employees for a period of one year or eighteen months after leaving the company from contacting current employees for the purpose of directly or indirectly inducing or causing them to also leave. As a small quirk in this case, travel nurses are considered employees of the agency when they are placed on assignment but may otherwise be customers of the agency. This anti-solicitation clause would seem to be a prudent safe guard for an employment agency to stop former employees from stealing away your pool of potential employees. Which is unsurprisingly why AMN sued the former recruiters when they recruited away some of AMN’s travel nurses to work for Aya. This, AMN claimed, was in violation of the anti-solicitation clause of the non-disclosure agreement they had previously signed and agreed to. However the trial court sided with the defendants, Aya Healthcare Services Inc. and the former recruiters, and found the restrictions that AMN was seeking to enforce were void as a matter of public policy. And on November 1, 2018 the 4th District Court of Appeals if California upheld that judgement of the lower court. To understand why AMN lost we’ll need to look at some peculiarities of California labor law. California strictly prohibits employee non-compete agreements with few exceptions as embodied in the Business and Professions Code section 16600. In brief, section 16600 makes any contract that restrains someone from engaging in a lawful profession, trade, or business void and unenforceable. There are a few exceptions to this rule that aren’t applicable in this case such as allowing owners, partners, and shareholders to be restricted by non-compete clauses when they sell a business. However, and this would seem to be a critical exception in this case, the statute does allow for protection of a company’s trade secrets. For an employment agency trade secrets include the company’s applicant/customer lists and the statute allows for protections of these lists for one year following termination of the former employee. It would seem that AMN should be able to enforce their non-disclosure agreement using the trade secrets exception. So why did the case not go in their favor? The devil is, not surprisingly, in the details: travel nurses would apply for employment with an agency and if they were selected for job placement would work as employees of that placement agency (here either AMN or Aya). The nurses, to improve their chances of placement might and often did apply with multiple agencies. So in the case at hand each of the AMN travel nurses that had been recruited to Aya were already registered with Aya, in some cases years in advance of them leaving AMN. Because of this the court ruled that the identities and contact information of these employees couldn’t be claimed as a trade secret by AMN since, practically speaking, there was nothing secret about it. Since there was no trade secret exception the court found that the non-solicitation clause was an “unlawful restraint on trade” under 16600 because it sought to prevent the defendants from engaging in their profession as travel nurse recruiters. While the ruling in this case is very fact specific any California employers will want to carefully review their own non-disclosure agreements in light of this Appeals Court ruling. If you have questions or concerns on your own employment issues you might consider using one of your AmSpa member benefits which includes an annual legal consultation with the law firm ByrdAdatto. How Do you Grow your Medical Spa in 2019 and Beyond? As you can imagine, we at the American Medical Spa Association are very excited to present the upcoming Medical Spa Show 2019 at the Aria Resort and Casino in Las Vegas from Friday, February 8 to Sunday, February 10, 2019. The show now features three full-day educational tracks including an additional pre-show education on Thursday, February 7, featuring a course sponsored by our Exclusive Black Opal Sponsor, Crystal Clear Digital Marketing. The course, CEO Training: Growing Your Medical Spa in 2019 and Beyond, will focus on the best practices, processes, and tools successful people utilize to grow their business. Other topics include: developing new strategies for growing your millennial patient base, transforming your social media platforms, and learning the secrets of the fastest growing med spas in the world. President of Crystal Clear Digital Marketing and Two-time Inc. 500 Entrepreneur, Tim Sawyer, closes with leadership strategies to grow your practice in 2019 and beyond. This class takes place on Thursday, February 7, 2019, from 8am-12pm at the Aria Convention Center, Plaza Level, Orovada Ballroom. The cost is FREE for The Medical Spa Show 2019 attendees. You can get the full agenda here and register today! In 2018, California made several changes to try to curb unauthorized access to controlled substances as part of a national trend in combating opioid abuse. One of the major changes went into effect this past October, when it became mandatory for medical professionals who write prescriptions to first run a search of the patient on the CURES system before issuing a prescription. CURES is the name of California’s prescription monitoring program, a statewide database that documents all prescriptions issued to a person. CURES allows prescribers to check that they aren’t prescribing conflicting drugs or duplicating prescriptions the patient may have received from a different prescriber. Another major change takes effect January 1, 2019. In its continuing efforts to make the prescribing process more secure and accurate, California will require paper prescriptions be issued only on specially approved prescription pads with certain security features (“Secured Pads”). The mandatory security features for Secured Pads were enacted in the bill known as AB 1753. Among the features are a number of identifying marks including a watermark, lot number, printer identification number, unique serial number, and latent repeating “void” pattern that becomes visible on photocopies. The Secure Pads can be obtained from any printer who has been approved by the California Department of Justice as having implemented the necessary security features. The Attorney General’s website maintains a list of approved printers where the Secured Pads can be ordered; however, ordering them prior to AB 1753 taking effect would have been difficult as the list did not appear until 1/1/19. As AB 1753 was passed in mid-September, there may be other issues with enacting the secure printing requirements in time. In fact the California Medical Board just released a memo on Friday, December 28th alerting physicians to the new requirements. Questions about approved printers or the Secured Pad program can be emailed to SecurityPrinter@doj.ca.gov. As the California Medical Board memo notes, there is no transition period phasing in the use of the Secured Pads, meaning pharmacists are only permitted to accept Secure Pads beginning January 1, 2019. In the event a prescriber is unable to obtain Secure Pads immediately, there are a few alternatives. Given that the law only affects paper prescriptions, prescribers may continue with existing electronic prescriptions. If electronic prescriptions are not a viable option, a prescriber may call the pharmacy and make a verbal prescription for Schedule III – V drugs. If the prescription is for a terminally ill patient, the prescription can be made on a noncompliant prescription pad under the Section 11159.2 exemption. In certain emergency situations, a prescription can be issued on a noncompliant prescription pad as long as a prescription from a Secured Pad is issued within 7 days to cure the noncompliance. The California Medical Board also maintains a page of their website with additional information and procedures to follow when reporting a lost or stolen prescription pad. If you are an AmSpa member and you have any questions about California’s new prescription pad requirements or your medical practice’s compliance in general, please contact Morgan Gire at morgan@americanmedspa.org to set up your yearly complimentary consultation with a lawyer at ByrdAdatto. James M. Stanford is an attorney and partner at the ByrdAdatto law firm. From transitions, mergers, and acquisitions to structuring complex ownership arrangements, James enjoys the personal reward that comes from bringing parties together and making deals happen. James practices primarily in the areas of health care and corporate law with a focus on intellectual property. A proud father, Jim served in the U.S. Army and is fluent in Russian. In his spare time, he enjoys hunting, fishing, and spending time outdoors. This is a continuation of a piece on post on dermaplaning. To read the first part of this blog, click here. How have other states approached dermaplaning and its perceived duality? Other states have approached this dual nature of dermaplaning as both a cosmetic treatment and a medical procedure by permitting cosmetologists and estheticians to perform dermaplaning but only under the supervision of a physician. Utah is one such state, they allow master estheticians to perform dermaplaning under the direct supervision of a health care practitioner. The layer of skin effected is not the only area of concern for Dermaplaning. 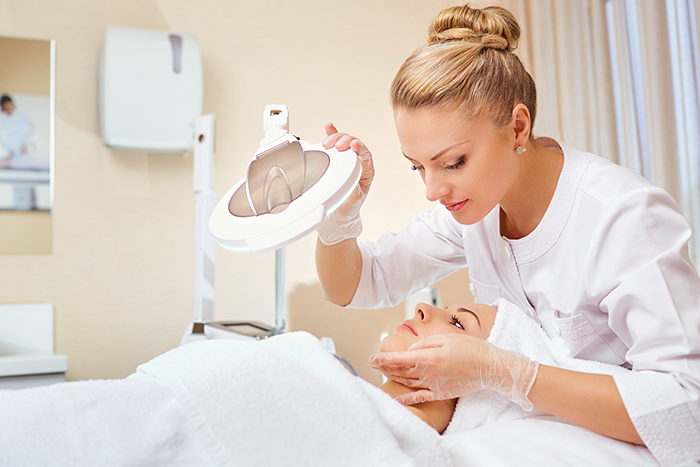 In states such as Texas estheticians and cosmetologists are permitted to perform microdermabrasion procedures as long as they only remove dead skin cells. This is similar to some of the previously listed states. However, Texas estheticians and cosmetologists are not allowed to perform dermaplaning regardless of the layer of skin effected. The reason is that using a bladed implement on the face is considered shaving and only barbers are licensed to shave the face. The similarity to shaving is also at play in New Jersey where barbers and master barbers can perform dermaplaning. It appears that most states have at least some restriction that limit or prohibit esthetician’s and cosmetologist’s ability to dermaplane. Some strictly limit the depth of skin that can be affected. Some make it a medical procedure and require that it be performed under medical supervision or by medical practitioners. Medical spas that are considering offering dermaplaning services should certainly review their own state’s specific rules on the procedure (AmSpa Members can refer to your state’s summary here). Dermaplaning over the last couple of years has become one of the most popular procedures offered in medical spas. There are, however, differing opinions on who may do the procedure and whether or not it is medical in nature. Let’s take a brief look at how different states treat dermaplaning and some consideration if you plan to offer dermaplaning in your medical spa. Before we dive into the details let’s do an overview of what is dermaplaning. Dermaplaning is a form of mechanical exfoliation. It typically involves a bladed instrument (often a #10 scalpel) used to scrape off the dead layer of skin and small hairs from a person’s face. The patient is left with more vibrant and even looking skin. In that respect it is similar to microdermabrasion treatments in that it should only remove the stratum corneum (outermost layer of skin). Dermaplaning has the added benefit of have much lower equipment costs since it needs only a scalpel to perform as opposed to more elaborate machinery. This difference in equipment can complicate who may perform the procedure, as we will see later. Since the procedure is intended to only effect the stratum corneum layer of the skin and not any lower it would seem that estheticians or cosmetologists would be able to perform these procedures as part of their practice of beautifying and enhancement of skin that we find in many state’s statutes. This is the case in Ohio were dermaplaning is permitted provided it only removes the cells from the top layer of skin. Dermaplaning (or using a blade) that removes skin cells below the stratum corneum is specifically listed as a prohibited act in the Ohio Board of Cosmetology rules. Tennessee likewise prohibits any type of skin removal technique that effects the living layer of facial skin. Minnesota allows their master estheticians perform treatments on the epidermal layer which is a deeper level than the stratum corneum and so they are allowed to dermaplane. The depth of a few skin cells can seem like a very narrow margin between what is permitted or prohibited. Other states such as California have come down on the other side line and consider it a strictly medical procedure. In their rules California not only specifically lists “exfoliation below the epidermis” as an “Invasive Procedures” but also consider the removal of skin by a razor-edged tool to also be “invasive.” Illinois similarly prohibits cosmetologists and estheticians from performing dermaplaning and instead consider it a medical procedure. Likewise, South Dakota prohibits estheticians and cosmetologists from performing “invasive” procedures and specifically counts dermaplaning among them in an advisory statement. And in Montana’s administrative rules they define “dermaplane” as being performed by a physician. Stay tuned for part 2 of “Dermaplaning: Surgery or a Close Shave?” tomorrow! In our first blog of the year, AmSpa CEO Alex Thiersch went over three tips for opening a medical spa. There’s more to how to open a medical spa than just being an excellent medical aesthetic practitioner. 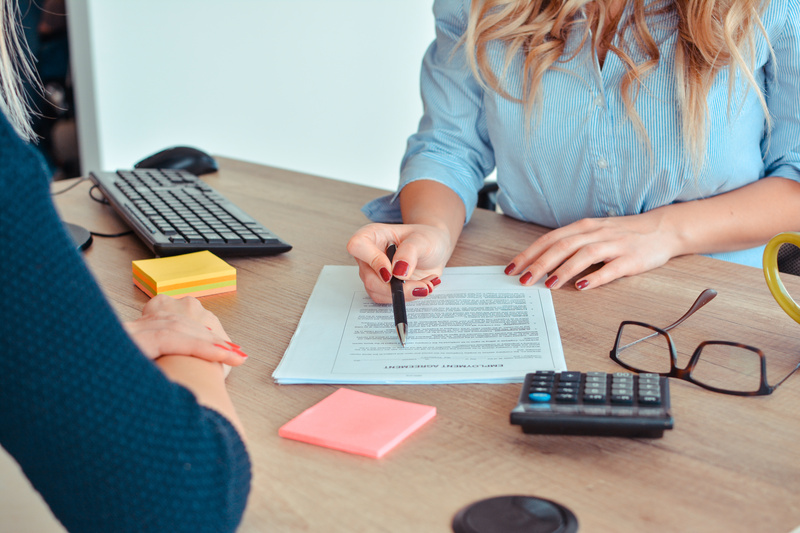 Of course that is important, but there are basic business and legal compliance steps you also need to take to make sure you are successful in the long term. In this popular #medspalaw blog post, ByrdAdatto lawyer Renee Coover, JD, defines the med spa law terms you NEED to know. In order to protect yourself and your business from exposure to problems such as these, you should familiarize yourself with the nature of the industry and some issues that are commonly faced by medical spa owners and operators. The specific rules and regulations that govern medical spas may be a bit difficult to pin down, but ignorance is never an acceptable excuse. 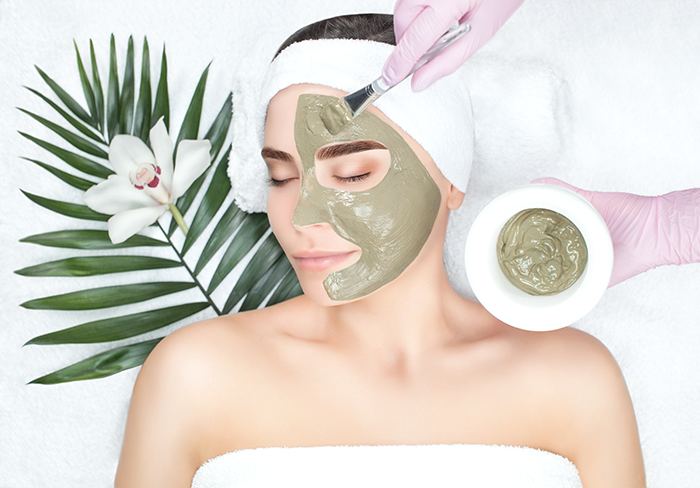 In this more recent blog post, Alex goes over compliance and bad press, and how to make sure your med spa is on the right side of the law. The days of the medical spa industry being the “wild west” are likely coming to an end. So if your practice is not entirely compliant with your state’s medical statutes, it is certainly in your best interest to identify the ways in which it falls short and address them as soon as possible. Episode 12: What Does the FDA Alert Regarding Feminine Rejuvenation Mean for Medical Spas? 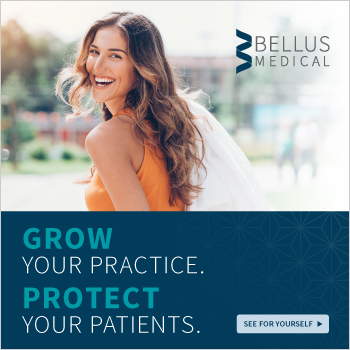 In this podcast episode, Alex sits down with ByrdAdatto partner, Jay Reyero, JD, to discuss the FDA alert regarding vaginal rejuvenation. Recently the US Food and Drug Administration issued a warning to several major device manufacturers about the marketing of vaginal rejuvenation devices. The notice clarified that the scope of FDA clearance on the machines only covered certain procedures, not including vaginal rejuvenation. Jay Reyero, JD, partner at the law firm of ByrdAdatto weighs in on what this notice might mean for medical spa practices, and the steps owners and practitioners should take in light of the warning. In this episode, Alex interviews Danielle Smith, co-founder of Smith & Popov, to learn how she created her successful practice with only injectables. One chair, one injector, and a successful medical spa practice. Danielle Smith of Miami's Smith & Popov talks through how she built her business model, the most important metrics she tracks, and how she stays lean, efficient, and profitable to break the myth that you can't make money on injectables. Need to write a contract for your new medical director and don't know where to start? Michael Byrd, JD, Partner at ByrdAdatto has you covered. What is pregnancy discrimination and who is protected? How do federal and state laws intersect to protect pregnant workers? Renee Coover, JD, ByrdAdatto goes over what pregnancy discrimination is and how to avoid it in this webinar. Thanks for making 2018 so great, and we can't wait to see what 2019 brings for AmSpa and our members! 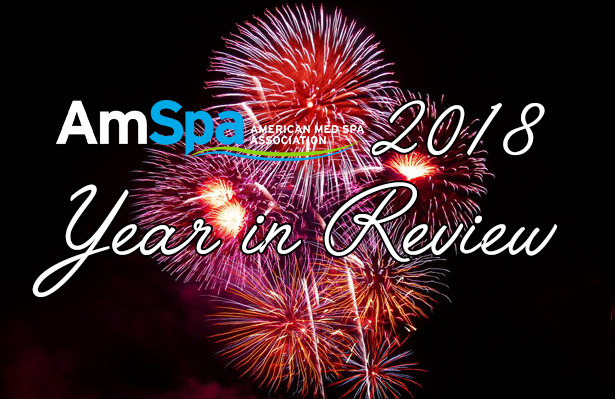 2018 was an amazing year for AmSpa, and we're so glad to have had you all with us. Turns out, first time is the charm! Our first annual Medical Spa Show, held at the Aria Resort & Casino in Las Vegas, was a rousing success. With over 400 attendees and 50 exhibitors, the premier conference and trade show for non-invasive aesthetics proved the need for a show for med spas, by med spas. We can’t wait to show you what we’ve made even better for MSS 2019, February 8-10, 2019, see you there! Held in sunny Maui, Hawaii, the 2018 Next! Level Leadership event offered education for successful medical spa and medical aesthetic professionals who need help getting to the next level in their business and careers. Topics covered included managing assets and profits; franchising; how to develop partnerships and investments; expanding your medical spa’s footprint; developing an exit strategy and so much more. Watch your inboxes for more information! Wow! 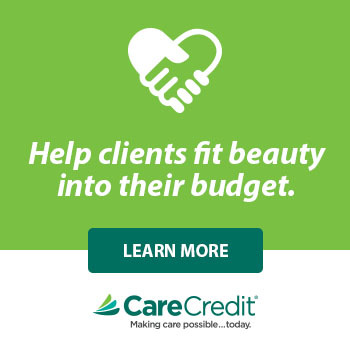 As fast as the medical spa industry is growing, so did our boot camps! Held in seven cities across the country, AmSpa LOVED meeting med spa professionals like you from all over the United States! This year, AmSpa Boot Camps offered two days of education on med spa law, consultations, marketing your med spa, financing, and more! Interested in attending a 2019 Boot Camp? Click here to see if we’re visiting a city near you! And check back tomorrow, when we go over the best webinars, blogs and podcasts you may have missed!